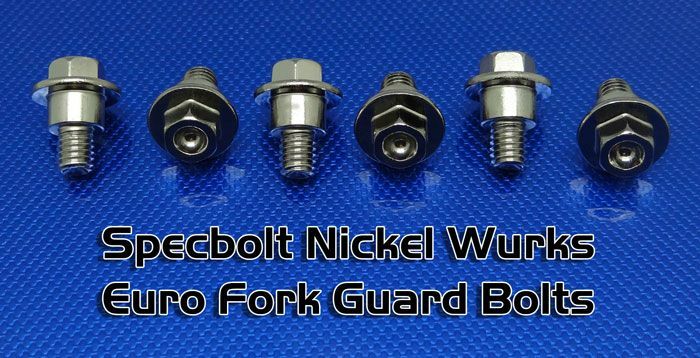 This HIGH QUALITY Nickel Wurks bolt kit is recommended to anyone that would like to replace their original Husqvarna bolts with something much better. they just have the looks, but without the high price tag. These are 10.9 grade high carbon steel fasteners with a hard nickel plating. They aren't any lighter than your stock bolts, but they are stronger. 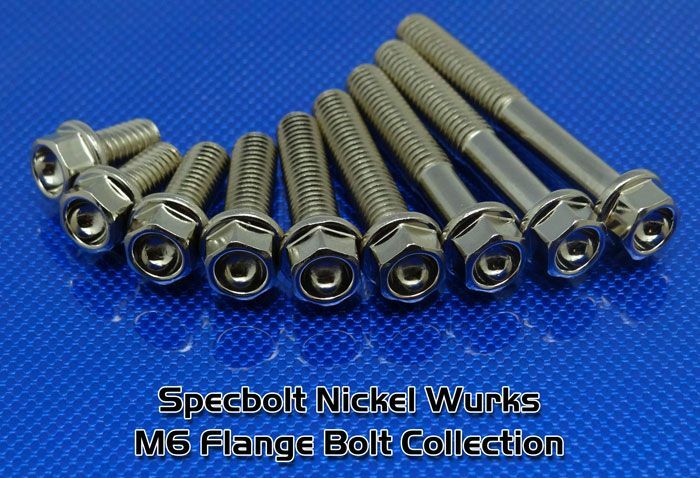 You also get a huge assortment of M5, M6, and M8 Nickel Wurks bolts. Nearly enough to replace all your bike's engine covers, triple clamps, bar clamps, front brake caliper, front axle pinch bolts, body plastics, radiator bolts, chain slider, swingarm components. Additional bolts may be needed depending on your make and model. These are all available as refills in our store for around a buck a bolt. 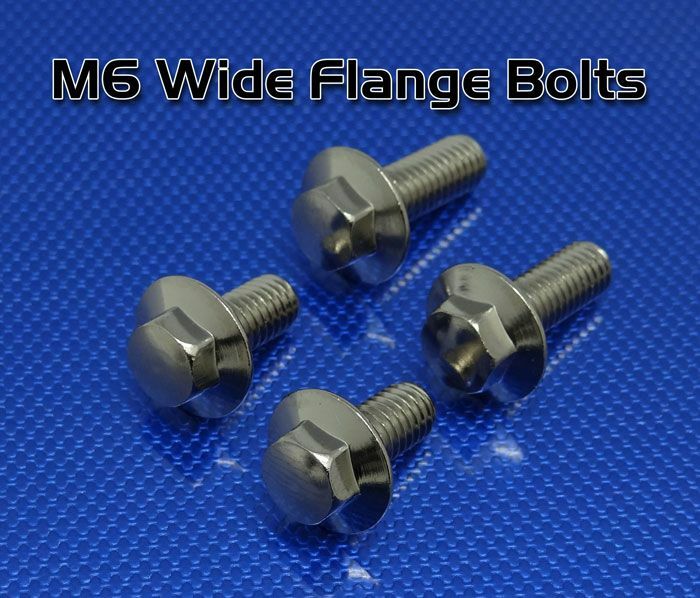 M6 Nickel Wurks flange bolts in this kit range in size from M6x10 up to M6x45 and look beautiful used on your engine covers and plastics. 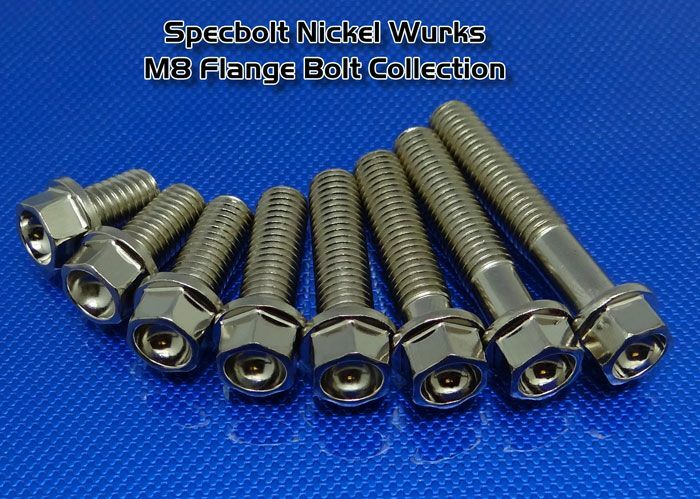 M6 Nickel Wurks wide head flange bolts in this kit in 2 sizes. M6x12 & M6x16 are great for mounting radiator shrouds and bodywork plastics. 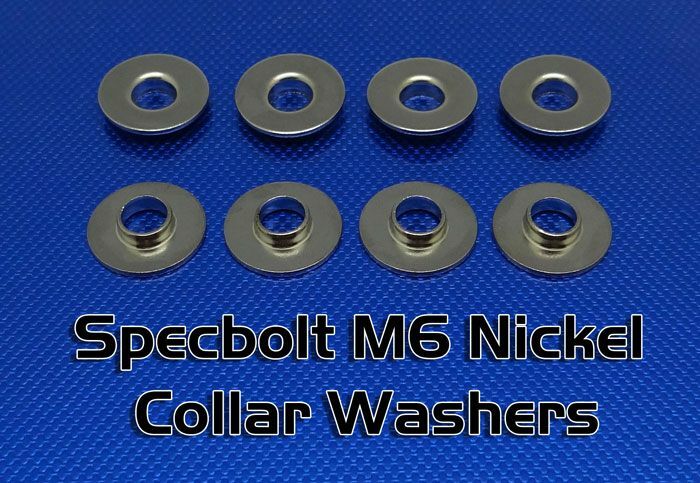 Our Specbolt Collar washers are perfect size and for mounting plastics and bodywork. These allow body bolts to be fully tightened and greatly reduce the chance of splitting your plastic while tightening. 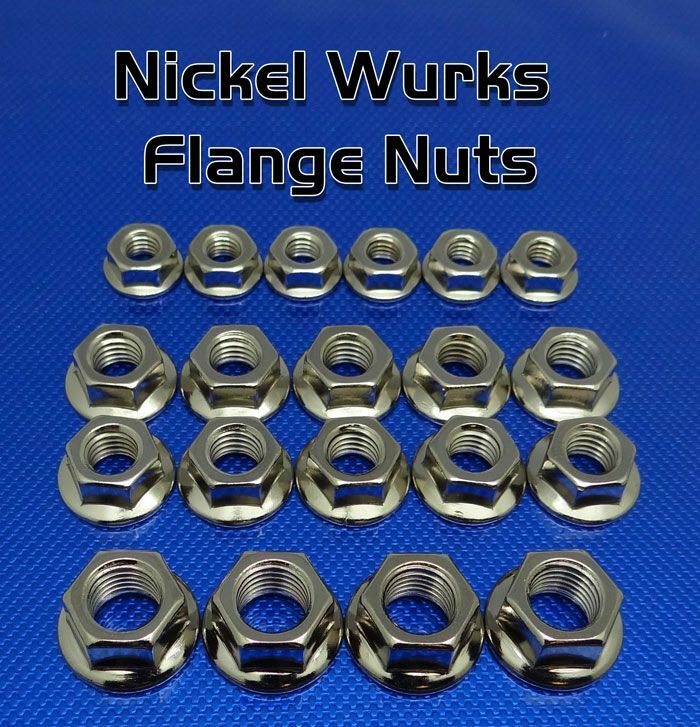 This kit contains a full assortment of Nickel Plated Flange nuts in M6, M8, and M10 sizes. An assortment of the most needed Fender and Flat Washers are included. A Full set of OEM Matching Torx Sprocket Bolts with thread lock pre-applied. Complete with matching flat washers and class 10 flange bolts. These bolts are hardened and 10.9 grade like your originals. 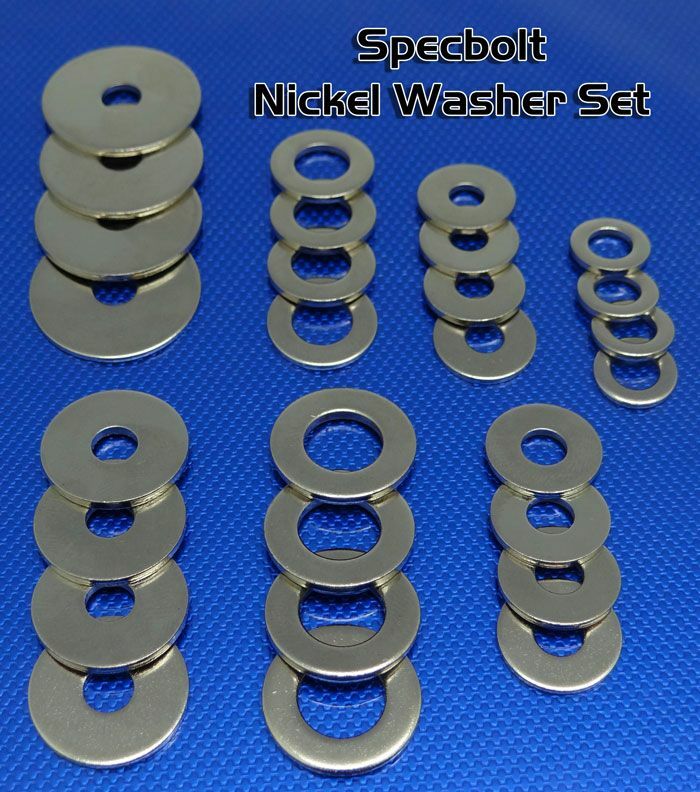 They have a tough Nickel Plating that will withstand anything you throw at them. A full set of 6 Husqvarna specific Fork Guard Bolts are included in the set. A big improvement over stock. They have been re-engineered to hold the fork guards a little firmer in place and eliminate any wiggle found on some models. This is especially helpful when running a holeshot device. A M6x10 wide head Husqvarna matching torx flange bolt intended for mounting the front number plate on most MX models. 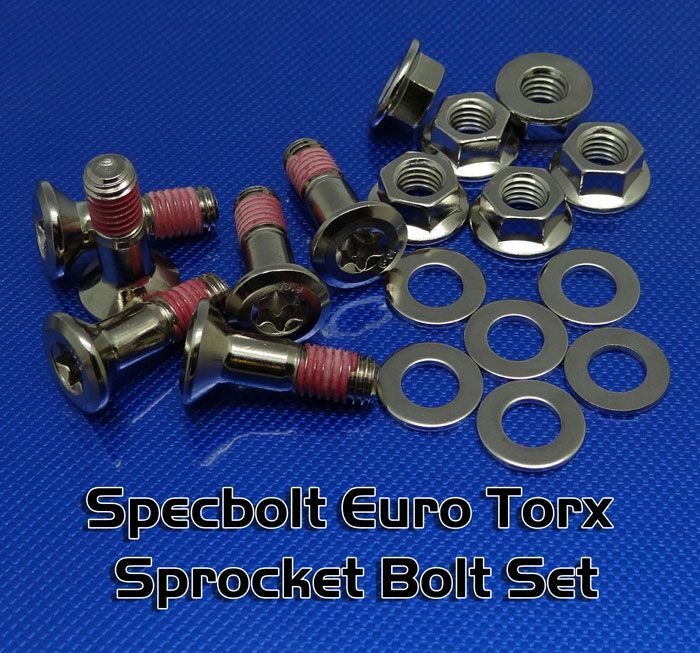 This bolt kit was previously only available to our Team Specbolt Riders. 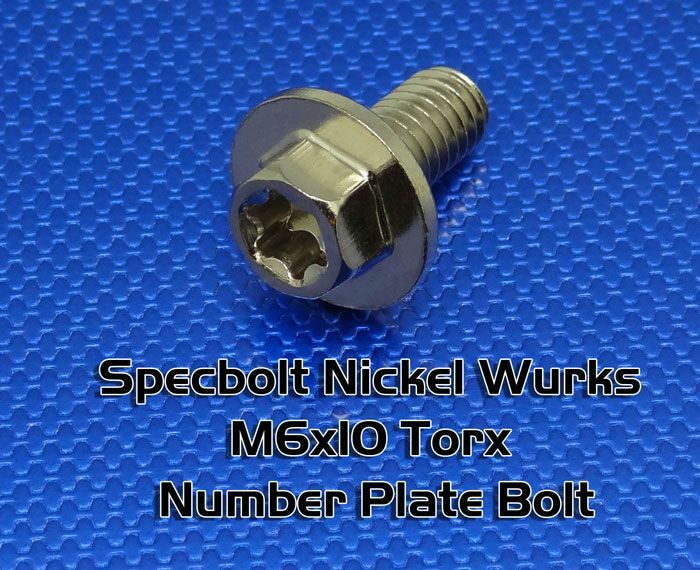 We know you are going to love these new bolts and we back them up 100%. Any issues and we will go out of our way to make sure you are more than satisfied or your money back.